In an open letter issued on Tuesday, the New York-based Human Rights Foundation (HRF) called on UN Secretary-General Antonio Guterres to speak up against alleged torture on 18 men who were sentenced over their links to the Gülen movement in Turkmenistan, during his scheduled meeting with the Turkmen President Gurbanguly Berdymukhammedov. Guterres is expected to meet Berdymukhammedov on June 13. 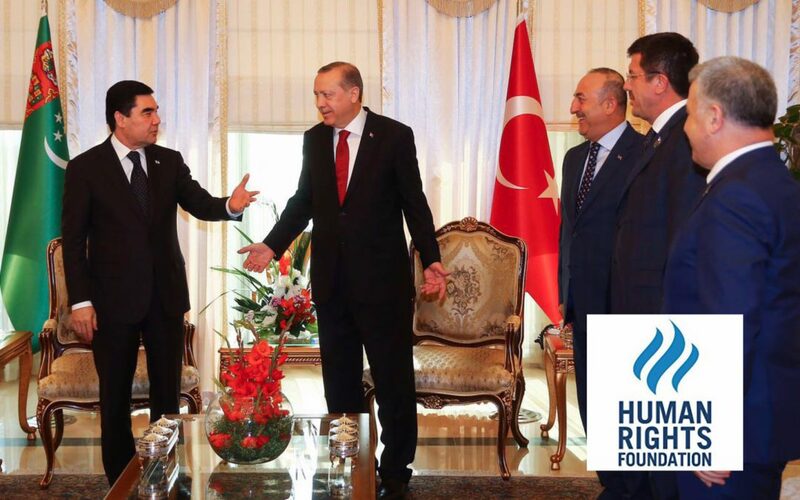 “HRF believes that 18 innocent Turkmen have been illegally and brutally targeted for their association with Turkish-Turkmen educational institutions. The torture and arbitrary arrests of the 18 Turkmen is part of Turkmenistan’s wider crackdown on individuals and institutions worldwide that follow the teachings of Turkish religious leader Fethullah Gülen, who President Recep Tayyip Erdoğan of Turkey alleges was responsible for the July 2016 failed coup d’état in that country,” the foundation said. HRF said 18 men were convicted simply for expressing their right to freedom of association. “You are in a strategic position to influence Turkmenistan’s government to release these 18 Turkmen as well as others that are arbitrarily imprisoned, and to rid Turkmen society at large from the scourge of torture and the horrendous prison conditions that have been imposed on these individuals,” HRF added. According to credible information received by HRF, the 18 individuals have been held incommunicado since September, October, and November 2016, and have been subjected to “relentless and systematic torture and degrading treatment,” carried out during interrogation sessions aimed at obtaining false confessions. 18 were sentenced up to 25 years in prison and their properties were seized by a Turkmen court on Feb 8, 2017.